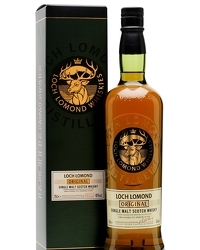 Loch Lomond Single Malt has crafted the perfect serve for revellers planning to welcome the New Year. Marrying whisky and fizz, the Loch Lomond Sparkling Gold is designed to satisfy the staunchest of traditionalists, while also providing the ever-pleasing pop of a cork. 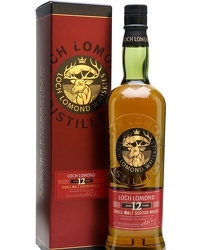 Made with Loch Lomond’s award-winning 12 Year Old Single Malt Scotch Whisky, the Loch Lomond Sparkling Gold pays tribute to the Scots tradition of Hogmanay, celebrated on December 31. Known in other countries as New Year’s Eve, Scotland’s Hogmanay celebrations regularly attract visitors from all over the world and have become the benchmark for welcoming the New Year. Originating from the Viking celebration of the winter solstice, Hogmanay now marks a time for friends and family to gather together to toast the future – typically with a dram. Other Scottish Hogmanay traditions include cleaning the house before the bells chime, singing Robert Burns’ Auld Lang Syne and first-footing. The first-foot is the first person to enter a household on New Year’s Day bringing several gifts, including a coin, coal and a drink (usually whisky), which represent financial prosperity, food, warmth and good cheer. 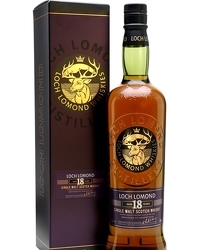 Combine Loch Lomond 12 Year Old with the golden honey and ginger syrup and chill down over ice before straining into at chilled flute glass and topping with sparkling Prosecco. To add a little glitz, top with a pinch of edible gold flakes.